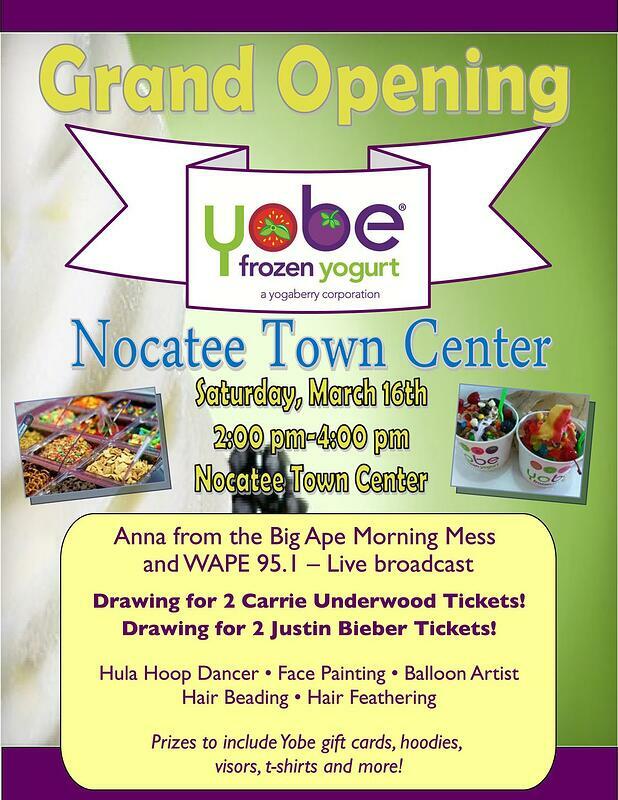 YOBE Frozen Yogurt at Nocatee will host a Grand-Opening Event Saturday, March 16th, for its NEW Ponte Vedra location. The event will include a live-broadcast from WAPE 95.1 FM, Carrie Underwood and Justin Bieber Concert ticket drawings, live-entertainment, face painting, YOBE gift-card giveaways & more. "This Grand-Opening is designed to generate even more excitement, as we celebrate and thank the community for their support thus far,” said Marcia Danzeisen, Owner of YOBE at Nocatee. Since opening it’s doors on March 2nd, YOBE has already seen a tremendous amount of traffic and success.